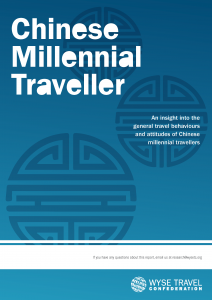 Last week saw the launch of WYSE Travel Confederation’s Chinese Millennial Traveller report which highlighted significant differences between the experiences, behaviours, and attitudes of Chinese and non-Chinese youth travellers. Around 20% of Chinese respondents said they had been affected by language barriers during their travels, despite the majority reporting a high level of spoken English. This is around four times greater than the international average. The report also considered visa difficulties experienced by Chinese and non-Chinese millennial travellers, and again more Chinese respondents reported experiencing visa barriers when planning trips (28% compared to the international average of 12.5%). Compared to other millennial travellers surveyed, Chinese millennial travellers are far more likely to book flights and accommodation from a mobile device. The level of flight bookings from mobile devices by Chinese millennial travellers is around three times as high as for other millennial travellers, and accommodation bookings on a mobile device are twice as high. Whilst all millennial travellers in the survey reported a similar level of tech equipment ownership, 43% of Chinese millennials own a tablet which could account for the higher levels of bookings coming from mobile devices. 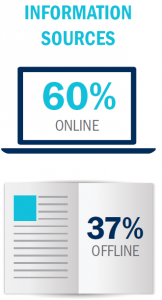 In addition, non-Chinese respondents are more likely to carry paper books (50% compared to just 6% of Chinese millennials travellers), rather than Kindles (packed by 7% of millennials compared to 26% of Chinese millennial travellers). Chinese millennial travellers are also avid users of the internet when sourcing travel information. Around 60% of Chinese respondents use online information sources compared to 37% that use offline sources, and only 27% rely on travel information from family and friends in comparison with 67% of other millennials. This report is available free of charge to WYSE Travel Confederation members. If you’re not a member, download our FREE executive summary, or purchase the full report for just EUR 99,95. Visit www.wysetc.org/research to download our full range of reports.